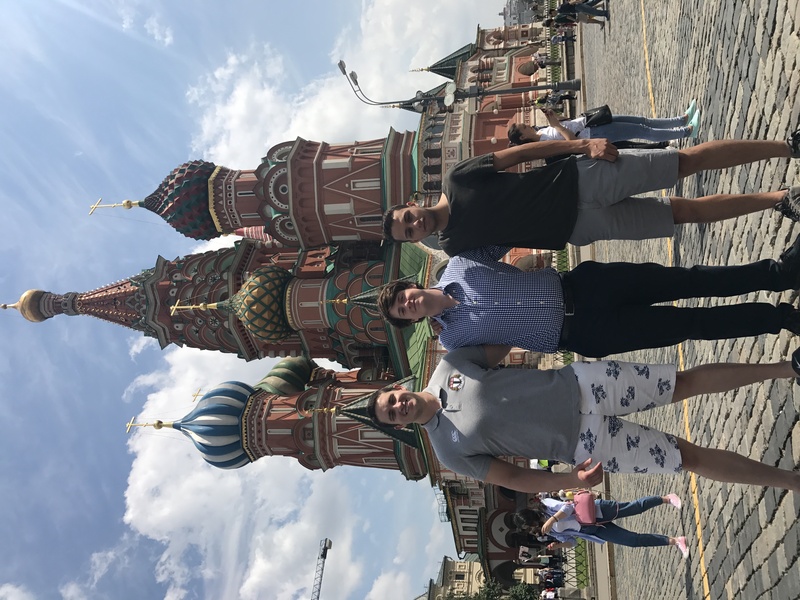 This summer, I had the pleasure of spending eight long weeks in Russia to do an intensive study of language and culture. I travelled with a third-party group, named the Council on International Education and Exchange. 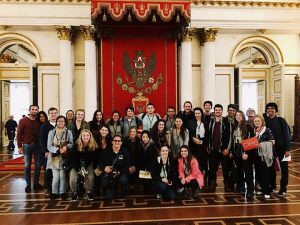 I studied full time at St. Petersburg State University with other American and British/Irish students while living with a Russian host family. My understanding of this country and language, which I have previously studied the past few years, completely changed after this summer. First of all, I learned to have no expectations when going into a foreign situation like mine. 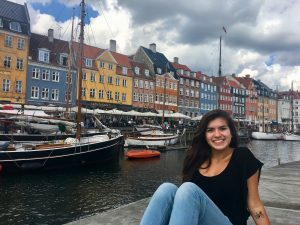 Even though I went through culture shock debriefings and orientations through my program, nothing can really prepare you for what you will experience abroad. I had some preconceived notions of what to expect as far as cultural norms went, but, as is everywhere in the world, every person and situation is different. When considering understanding myself, I believe I reconfirmed my ambitions and reached my goals for my trip. On the topic of understanding the culture itself, my experience basically guaranteed I would come out of it with a whole new worldview. Being especially in one of America’s top (political) adversary countries, I was enlightened to gain perspectives of average citizens there. It taught me that people have the same basic desires out of their leaders everywhere, and we are not all so different. The rhetoric that is taught to us through mass media often contains a lot of oversight in order to outline a clear enemy. The overarching aspect of my project that led me to these conclusions was being fully immersed into the culture. 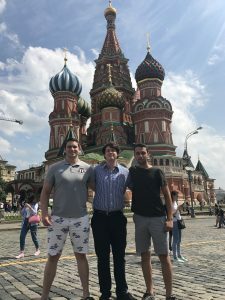 Living with an average Russian family, studying at a Russian university with Russian professors, and fending for myself in society in general forced me to gain the tools to effectively communicate and understand the people with whom I was dealing. Unlike a lot of Western European countries, English is only spoken by a minority of younger people, often with the skill level that most students acquire from studying Spanish in the US in high school. Living with a family that did not understand any of my native language forced me to work 24/7 to improve my fluency to be able to effectively communicate to them my ideas and feelings in a complex fashion. Everyday situations on the street usually helped to bring cultural understandings to my awareness. For example, one does not simply smile and say hello to people they do not know out of “politeness;” Russians view this as being superficial and unnecessary. I quickly learned this through the odd stares I received when I did this. Another example is the cultural idea of openness, where once acquainted with somebody, not many questions are considered inappropriate. Oftentimes in bars and cafes, others would become interested upon realization that we were Americans and draw up conversations on politics, which in America is usually seen as inappropriate, especially not being previously acquainted with the person. It is also through this, though, that I learned how similar-thinking the people were; drawing clear distinctions between how our governments operate and the political atmospheres with how everyday people felt about each others’ peoples. These realizations are incredibly important to my education and my general worldview. I had sat in a classroom here in Ohio for three years learning about this culture and speaking this language to the same people. I neededthis type of experience to get this taste of true understanding. Coming back to school here and sitting in class learning about it again, my eyes are opened to my experiences and how I can use them every day. 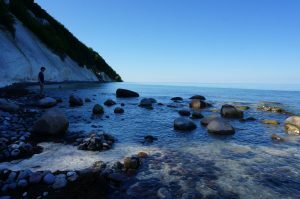 In general, it gave me a huge desire to travel more and become a more worldly person in general. I would whole-heartedly advocate for every person to spend time in another part of the world, as it is incredibly important to see that our way of life is not always the most perfect, and to be open to differences in people. A handsome young man in his early twenties disembarks from a flight in Madrid. As he steps outside to inhale the Spanish air the heat parches his throat and causes sweat to cascade from his brow. With his luggage in hand he hails a taxi to carry him to Toledo. Stepping out of the cab he looks around and takes in the ancient city. Beautiful stone towers reach towards the sky, a great wall surrounds the city, and the Tajo river wraps around the wall giving Toledo the appearance of a city straight out of Game of Thrones. I’m guessing you’ve figured by now that the aforementioned handsome young man is moi. This summer I spent a month and a half studying Spanish literature, art, and culture at the Fundacion Jose Ortega y Gasset. The purpose of my project was to experience life in a culture different from my own. I wasn’t expecting such a culture shock. I always figured that outside of language there wouldn’t be a significant difference between the way most Americans and most Spaniards live. An example is that Spaniards have a different concept of personal space when talking with someone. It was not uncommon for them to stand really close while conversing and I had to actively resist the urge to take a step back and create more space. I also had problems with confidence in my Spanish speaking abilities. Until this past summer, most of the interactions I’d had with Spanish came in the form of a class room lecture or a book. I was presented with very few opportunities to use the language naturally and in a relaxed setting like home. I also learned a valuable lesson about family. Families seem to be a lot closer in Spain. Instead of staying at the Fundacion I decided to stay with a host family. I had a mamá, Angeles, and a papá, Luis. They also had a son that lives in Madrid that I met once and a daughter that I often saw at the house, although she and her boyfriend had a house of their own. There were constantly guest that flowed in and out of the house every week and although the three bedroom apartment wasn’t the largest, there was always room for family. Late night dinners were always a family affair, with everyone gathering around the table laughing, joking, and jubilantly shouting so quickly that I sometimes struggled to keep up with the conversation. I learned the beautiful lesson about keeping family close and always making time and space to commune with one another. My study abroad experience and the STEP program have offered me the opportunity to meet the incredible people that I have. It’s also allowed me to see a part of the world that had only existed in the form of maps and books and movies. Being able to travel to cities like Madrid, Barcelona, Lisbon, and Malaga (my favorite destination) has been a transformative experience. I feel like a better world citizen and a more well-rounded student. I had a chance to experience first-hand the beauties and troubles of Spain and its people. 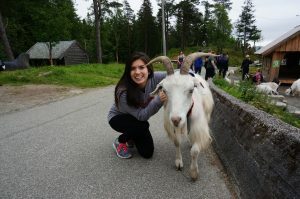 This study abroad trip was an amazing experience. Go Bucks! P.S. Hold on to your phones and wallets in Barcelona and Madrid. 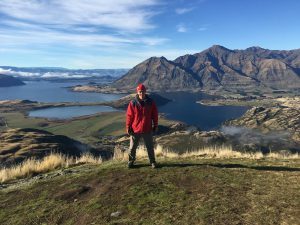 My signature project entailed a trip to Australia and New Zealand. The trip had an outdoor theme so we went on lots of hikes, chose from unique activities, and got to explore an entire new world. My understanding of the world definitely changed as a result of this trip. It made me feel a sense of how little I have seen in this large world. I have been out of the country before, but Australia and New Zealand just seemed like their own little worlds. Seeing all of the different sites in these countries made me realize something. As people, we often trap ourselves in our little world we call the United States, but we don’t venture elsewhere because maybe it is too expensive, not enough time or whatever excuse. I realized that after this trip how much I have often trapped myself by making several different excuses and not experiencing these great attractions in person. In Australia, I was able to see many different unique scenes which included the Great Barrier Reef and the Sydney Opera House The feeling of being in countries like Australia and New Zealand was out of this world. Animals only seen in aquariums as a little kid, appeared right before my eyes. It was definitely an awakening. The Sydney Opera House was a whole new story. I knew it existed because I was finding Nemo, but I wasn’t able to completely grasp its shape or size until I saw it for myself. The way that the Sydney Opera House lit up the night sky is still embedded in the back of my mind. New Zealand was similar to Australia but had several differences. First, the nature felt much different. When walking in New Zealand, it felt like the area was much less civilized. This was extremely apparent in one of our first stops, Doubtful Sound. The area we were at felt like it was in the middle of nowhere. However, when the sky turned dark and I looked up I saw some of the brightest stars I had ever seen since there was much less light pollution. The stars that I saw still awe me to this day. 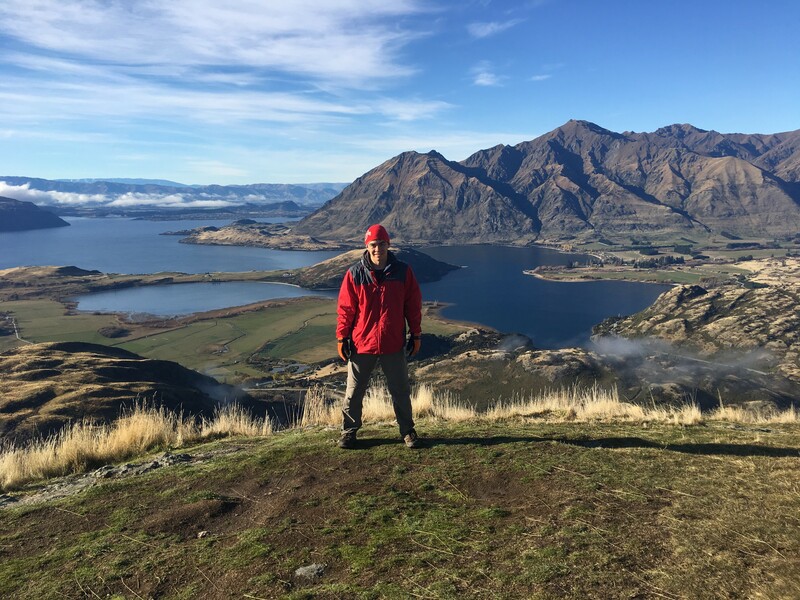 Another site that was awe inspiring was Lake Wanaka. As a group, we all went kayaking on the lake and it was one of the clearest lakes that I had ever seen. As we all paddled, the ripples on our paddles just seemed to disappear into nothing. There were 24 people in total who went on this trip and not a single one gave me trouble. That is incredible. The interactions and relations I formed on this trip I hope will last a lifetime. Our group had so much fun, and I believe all of us got along with each other despite our different career paths we chose. I think I learned how to play three different card games as everyone was so helpful and understanding of one another. 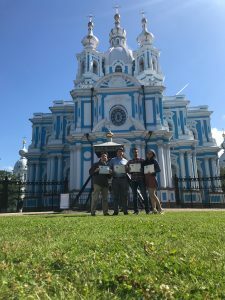 I have been on several group trips, but I think this is by far one of the best groups of people that I have had the honor of collaborating with on countries halfway across the world. The transformation that this trip has bought me matters significantly as someone who has one year left of school. I now know that have 23 extra people in this world who would have my back in the very least, but I think I experienced a great deal more than just 23 extra friends. I got to see places that only a handful of people in this world have gotten to experience. Most people only have pictures or videos of what might possibly go on in Australia and New Zealand, but they don’t know what it feels like to stand and look up at the Sydney Opera house. They don’t know what it feels like to snorkel and look down at a clown-fish. They don’t know what it feels like to look up at a clear sky and see more stars than they ever could have imagined. I think these feelings mean something, and I hope they will bring me good fortune in the years to come. For as long as I can remember, I have always been fascinated by cultures that are different from my own and the ability to speak multiple languages. 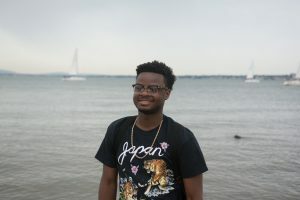 As an aspiring medical professional, I knew how crucial it would be for me to gain cultural competency and an appreciation for others’ cultures. As a result, when I was designing my STEP signature project, I wanted to combine these two personal objectives and immerse myself into another culture’s way of life. 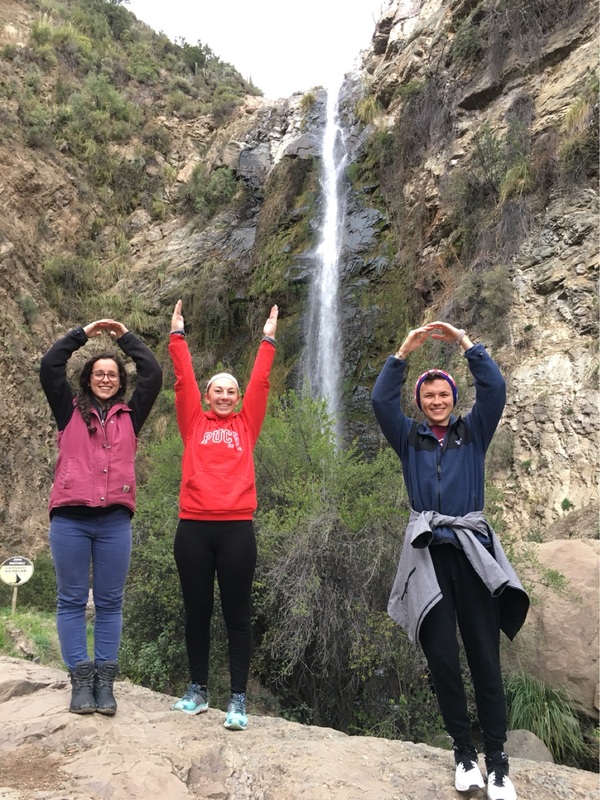 For my project, I chose to study Spanish language and culture in Madrid, Spain for approximately six weeks through an OSU approved third party provider called, ISA. 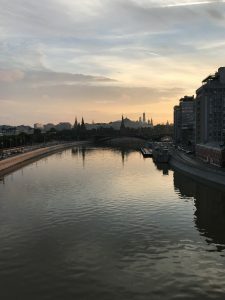 In Madrid, I enrolled in an intensive Spanish program at a Spanish University where I took Spanish language courses for 20+ hours a week while living with a host family. Going to Spain, I knew I was going to change as an individual, but I could not predict how is transformation would take place and the role it would have on myself. On the first day of orientation, the director of the program told me that I would never return back to America as the same person and I fully believe this statement. Being abroad, meeting new people, and gaining new perspectives is an extraordinary opportunity that helps you define who are and role that we individual play as human beings in society. My STEP project allowed me to develop independence, faith, confidence, and a deeper appreciation for human differences. More important, I learned how to slow down and live life. Growing up as a military kid, I always believed that I was an independent individual. Due to my parents’ careers, I was used to taking care of myself and taking the initiative to achieve personal objectives. However, traveling abroad to Madrid allowed me to see independence from a different perspective. The independence I had was always supportive by the safety net of my family and friends. These individuals were all people whom I could consult for opinions regarding difficult situations or when a plan went awry. However, as I traveled throughout Spain solo, I began to re-conceptualize the idea of independence. The challenge of navigating a large city such as on my own without cellular data was daunting. For the first time, my parents and friends were not a phone call away. 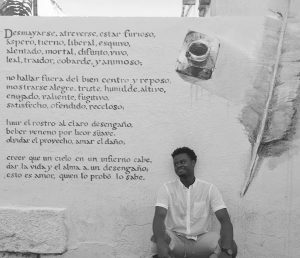 But, the process of learning how to gather the courage to use my limited Spanish to ask strangers for directions allowed me to grow faith and confidence within myself. 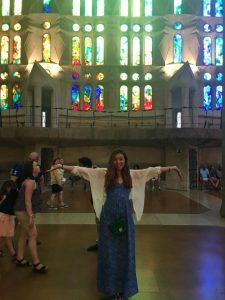 This exposure to independence and growth in confidence continued as I immersed myself into my Spanish institution where I had to make new friends, adjust to a new life style, and learn a new language. This experience not only allowed me to develop independence, but I learned how to live life fully. One of the first things I noticed in Spain was the change in pace. My Spanish host family and friends truly to cherished every moment they spent with their family and friends. While abroad, I never felt pressured or rushed to get somewhere or to meet someone. The realization that work was driven to allowed people to live their lives became especially salient. This starkly contrasted to my Asian-American culture where one’s life is defined by one’s work. Having a constant reminder to enjoy the present has allowed me to achieve a better work-life balance as a student and aspiring professional. It also helped me realize that I had allowed my academic and professional ambitions dictate a large portion of my life. Finally, having the opportunity to practice my Spanish with locals allowed me to learn to accept failures and mistakes. Throughout my life, I considered myself a perfectionist and lived up to this image where I always had to succeed. 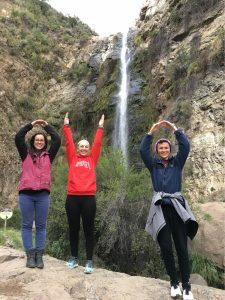 However, while partaking in “intercambios,” or conversational exchanges, with my new friends and host family, it became salient that failure and trying again are crucial components of the learning process. At first, I was extremely discouraged and embarrassed to continually make small mistakes. However, it began to see each mistake as an opportunity to improve! These are lessons that I am planning to actively apply to my academic, professional, and personal life. My STEP project became a personal project to me that I am so thankful I have been given the opportunity to engage it. This experience has been valuable to me because it allowed me to develop in ways that would not have been possible if I had remained within my comfort bubble on campus. I am now more eager and prepared to engage in opportunities that seem daunting as first, especially as a woman of color. I am no longer scared of failure because it is an opportunity to become a better version of myself and learn. I know I am capable of being independent and executing my goals. These are all qualities that will build me to become a strong student and professional candidate. I spent my summer in Costa Rica as part of my STEP signature project. 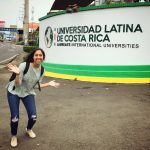 For the first month, I took Spanish classes at the Universidad Latina in Heredia and for the second month I volunteered at a nursing home as part of a service learning program. During my time in Costa Rica, I learned a lot about the world around me. Although I have traveled before, this was my first time being abroad for an extended period of time. Culture in Costa Rica is different from the United States in certain ways. I felt like the lifestyle was more relaxed, almost more informal. I learned about “tico time”, and how it is normal to often be late even in professional settings. 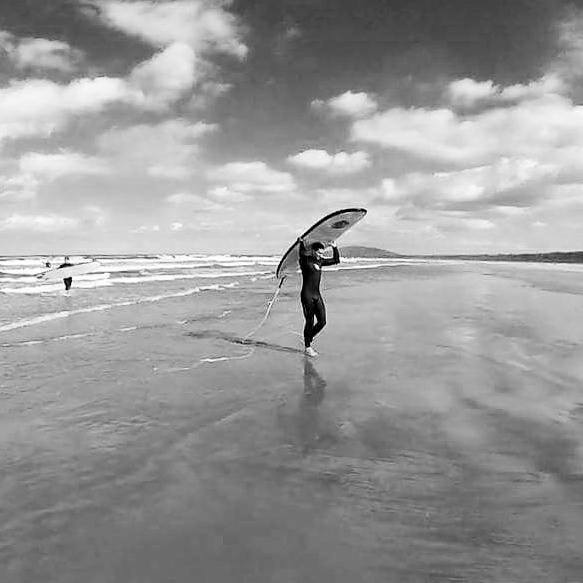 In Costa Rica, I learned to live a more relaxed, less stressful life. I learned to be flexible with time and plans, and to quickly adapt to change. I think these lessons will be very beneficial when I come home, as my life in Columbus is usually very fast paced. I think after this experience, I have learned to better adapt to stress and change and I think this will serve me well at home. I had two primary goals in Costa Rica: learn the language and study the healthcare system. As a Spanish major, this was my first extended period of time in a Spanish speaking country. Going into the trip, I thought/hoped my transformative experience would be mastering a language I have been trying to learn for twelve years now. Instead my transformative experience, I would argue, was learning how to get by. I did not come home from Costa Rica a fluent Spanish speaker. I still had to conjugate the perfect tenses painfully slowly in my head, I still didn’t understand other people when they talked too fast, and I still got confused in slang heavy conversations. I did however, learn to embrace the struggle. As for the second goal, my time in a Costa Rica nursing home changed the way I looked at certain aspects of public health, medicine, and palliative care. I was exposed to a set of struggles, the idea of inevitably losing oneself, that I had not really thought about before. Studying Spanish in Costa Rica reinforced the value of speaking a second language. I think talking to people in their native language facilitates deeper, more meaningful connections. I tried to communicate only in Spanish while in Costa Rica, and I found that even people who spoke perfect English always preferred to communicate with me in Spanish even if it slowed down the conversation. I think the world is becoming more global and it is important to speak more than one language, to be able to communicate and connect with people from all over the world, especially as the demographics of the United States are changing and Spanish is becoming a much more prevalent language.My goal was to attain fluency in Costa Rica and I don’t think I have reached that level yet, but I am close and will keep working towards that goal. However, I did learn a lesson in resiliency. Learning a new language is difficult. Sometimes the taxi drivers would get angry, when after the third try, I could not explain where I wanted to go. Sometimes a 10 minute walk turned into an hour long walk because we didn’t understand the directions. Sometimes I boarded the wrong bus, ordered the wrong food, or went to the wrong place. Being used to a place where I speak the primary language made me forget how debilitating losing certain basic skills can feel. I had to learn to take things in stride, to worry less if I was going to be late or if I missed a bus. Not because I lacked responsibility but because learning is a process. As time went on I learned to adjust- to time the buses, recognize the friendly drivers, use landmarks on the streets. However, I learned that it is okay to be lost, to not always know where I am or what I am doing. I didn’t have to have all the answers– that’s why I was there in the first place. Taking a step back was an important and transformative lesson for me. Working at the nursing home, I became aware of many of the challenges faced by elderly people both at an individual and societal level. I think I have come back to the United States with a new, reinforced respect for language and I am very motivated to keep studying Spanish and improving. I formed several very important relationships during my study abroad that helped me transform during my time in Costa Rica. I had the opportunity to do a homestay with a Costa Rican family. Our accommodations were humble, and my family was just my host mother but immediately I knew I had met a special person. When my host mother came to pick me up from the bus station, her car was too small to fit all of our luggage, and she had me sit on her lap on the way home. This small, kind of silly gesture, quickly broke the ice and made me feel like I was already part of her family. Some days when I was struggling with personal problems or felt homesick, I knew I could always rely on my host mom to give me advice and comfort. She only spoke Spanish so my Spanish improved very quickly while living with her. When I ate dinner she always came and sat at the table with me so I did not have to eat alone, and we discussed everything. We talked about our families, politics, hopes, and dreams. Margarita always made me feel welcome in her home, and I will always be grateful to her for that. She was an important part of my experience in Costa Rica and I hope to stay in touch with her now that I have come home. At the end of my Costa Rica trip, my mom came to visit me. One of my favorite memories is when my real mom got to meet my Costa Rican mom, because I felt like two very important people in my life were meeting each other. Another important experience during my study abroad was taking classes at a Costa Rican university. While the instruction style was not very different from my classes here in the US, my professors were native speakers who were used to teaching classes in Spanish as the first language of their students. They spoke faster and used more complex vocabulary than my professors here. I was able to take a pronunciation class that significantly improved how I sounded when I spoke. Since Spanish is not my primary major at Ohio State, sometimes during the school year, I cannot give priority to my Spanish classes. As a result, sometimes I feel like I did not give my best effort in my classes at Ohio State. In Costa Rica, I had the opportunity to only focus on learning Spanish and I was able to put full effort into my classes. As a result, I got much more out of my classes. I felt like I learned more about both Latin American culture through my literature class and greatly improved my spoken Spanish through my phonetics class. For the second month I spent in Costa Rica, I worked in a public nursing home. This was one of the most challenging and rewarding experiences I had both in my study abroad and in my life. Most of the residents where I worked did not have close family or friends. Many were there simply because they had nowhere else to go, and felt lonely and abandoned. Most of the residents suffered from some level of physical or mental incapacitation. Most used wheelchairs or walkers to move around. Many suffered from Alzheimers or dementia, and many were depressed. This was a challenging environment to work in, as I witnessed a lot of suffering on a day to day basis. Aging can be difficult, and when people lack support from the ones they love, it is even more difficult. Yet, in this space, the elderly loved seeing us, and were excited to talk to me everyday. I helped them with their physical therapy and served meals at the nursing home, but during my free time I was able to read to them and listen to them tell their stories. I had the privilege of listening to a wealth of stories, of incredible lives and experiences, and I could not help but be saddened that these stories were on the cusp of being lost. I returned to the United States with a newfound respect for the wisdom of the elderly, but also aware of the unique sets of challenges elderly people face. They are a vulnerable, and unfortunately, often marginalized community and I believe our society has a responsibility to take better care of them. I want to be a physician. As we continue researching the dynamics between clinical practice, public health, and socioeconomic determinants on patient outcomes, it is becoming more and more apparent that patients are healthier when treated at patient centered practices by culturally competent physicians. Given the demographics of the United States, I think it is especially important to understand Latin American perspectives on health and to be able to communicate with patients in their native language. Studying Spanish and learning about healthcare structure and attitudes toward patient care in Costa Rica will help me better understand patients from this part of the world. I hope to take the medical translation licensing exam for Spanish when I graduate so that I will be able to communicate with my patients without a translator. My experiences in Costa Rica have broadened my world view and helped me better understand a different language and culture. I am very grateful I had the opportunity to participate in this transformative experience. 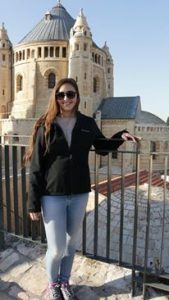 For my STEP Project, I studied abroad at Tel Aviv University for Spring Semester 2017. During the semester, I lived in a residence hall at Tel Aviv University and studied with international students from around the world. Once the semester ended, I decided to extend my time in Israel and worked an internship with the Tel Aviv Municipality Board of Tourism. My time in Tel Aviv changed my perspective on many issues and themes. Because Tel Aviv is such an international city, I felt connections to a broader international community in a way I did not before. I thought about the relationship between the United States and the rest of the world. I further explored how the world relates to Israel and strengthened my opinions about what Israel means to me. I made friends from many countries around the world. I heard their assumptions, opinions, and knowledge about the United States which allowed me to think more deeply into my role as an American citizen in the world and about how the U.S. affects the world. Comparing countries, cultures, and customs made me think further about this. Being surrounded by people with so many opinions about Israel also affected me. I was able to engage with people of many backgrounds in order to have conversations. Being in Israel may be considered a risk, at least by some. Terrorism is relatively frequent and conflict arises. However, during my time there, only once incident occurred in Tel Aviv. Many more things happened around the world and reading the news of this both saddened me but also reminded me that Israel is not portrayed accurately in the media. At one point, I was taking a small trip to Paris. I told my Hebrew teacher that I would be missing a day of class, and she immediately became worried for me. “Be careful,” she said. “So much happens in Paris. It’s not safe.” Clearly, such perspectives depend on your own situation. 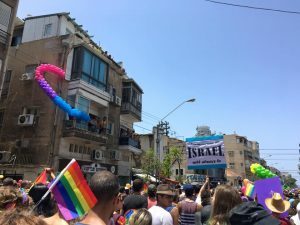 Many people at home asked my mom if she was scared for me to be in Israel. I told my mom on the phone multiple times that if anything ever happened to me in Israel, it would be the result of a bike knocking me down on the sidewalk (since riding on the sidewalk is all too common). I had a sense of independence in Israel that I enjoyed immensely. Public transportation is extensive and Tel Aviv is walkable. I traveled all over the country, to cities such as Jerusalem, Tiberias, and Haifa. In total, I lived there for six months. In this time, I felt that I adjusted in many ways. I was comfortable spending time on my own. 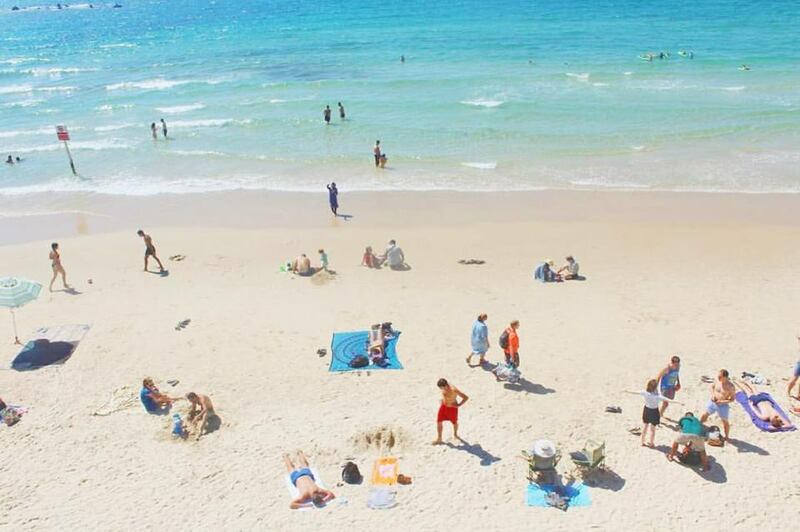 During the summer, I lived in apartments in Tel Aviv and was in the heart of the city. I used Hebrew as much as possible. I got used to needing to be as assertive as possible for Israeli culture. I learned, through my transformation, that I can adjust to living in a different country. This is important for me because I am majoring in International Relations and do not know where I will end up one day. I want to be open to living outside of the U.S. I also learned that I can live with and be surrounded by people from other countries and cultures well. 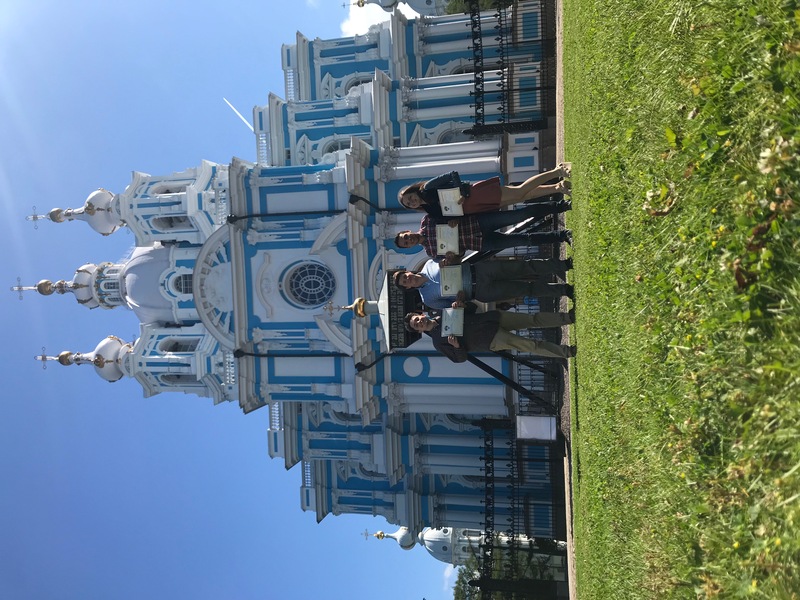 Overall, this experience further helped me internationalize my undergraduate career and I look forward to seeing how this will affect me more in the future. 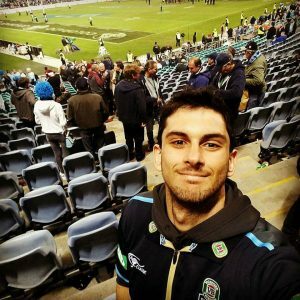 For my STEP signature project, I was fortunate enough to be a sports journalist intern for one of the biggest newspapers in Sydney, Australia: The Daily Telegraph. I was able to shadow veteran journalists around all parts of Sydney, learning about everything there is to know regarding Australian sports culture. My internship allowed me to visit training sessions and games of various Australian sports clubs all while writing and researching for the Sydney newspaper. I was even given the opportunity to write my own articles, which were published in The Daily Telegraph‘s online newspaper. Considering this was both a study abroad and an internship program, it was an interesting dynamic having a work schedule while simultaneously being a tourist. That said, I think the biggest transformation from my experience was actually having a work routine and getting a strong glimpse of how life is like after college. Previously, I never had the opportunity to have a structured job or a real resume builder other than a few tutoring and babysitting jobs. From this internship, I was able to gain more knowledge and tips from people who have been working longer than I have been alive. The real transformation was soaking in all of this knowledge from my coworkers and referencing it to my personal career goals. I didn’t know how confident I was choosing sports journalism as a potential career path, but this trip absolutely confirmed that I have the capability and passion to pursue sports writing if given the opportunity in the future. I think the biggest spark to my transformation was being around another culture in both a working environment and as a visitor. I learned the ins and outs of what it took to become not only an Australian sports journalist, but also a contributor to the operations of a major news outlet. 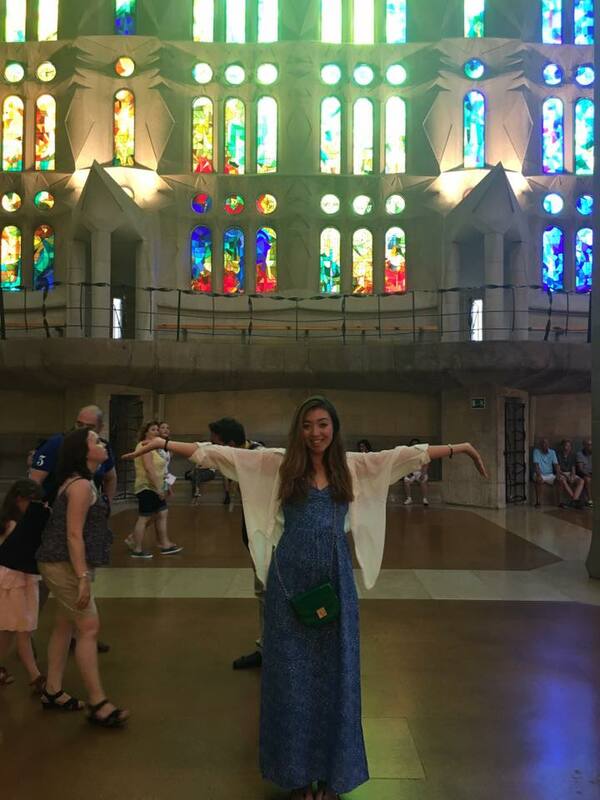 Dealing with having no prior internship experience wasn’t a huge hindrance because I was more focused on adjusting to the culture of Australia and constantly comparing it to the culture of the U.S. Moreover, being around the Aussie lifestyle always presented me with new opportunities and chances that made the internship unique. For example, covering all of the different Australian sports allowed me to learn something new each and every day. I didn’t have a day where I repeated the same procedure. I was always typing up new stories, researching possible leads, or traveling any given time I was working. Another key component were my coworkers. My boss/mentor was the chief sports editor for the paper and he taught me countless lessons about Australian sports and its culture. He was a huge help to me adjusting for a job in the media and offered me tips with how to succeed after college. He also gave me opportunities to explore other career options by setting up mini internships with The Daily Telegraph‘s marketing firm as well as an Australian professional basketball organization. The other journalists were also incredibly helpful too. I shadowed many of them as they chased stories all around Sydney. I was able to visit tons of sports stadiums, team practices, sports owners, and other journalists from various newspapers. Having that firsthand experience was priceless because I can now use all of the knowledge I gained to further my career goals in situations like interviews or networking. The last aspect that impacted my transformation was the environmental class I took during my program. The class didn’t have any relation to my work, but that was the very reason it had a significant impact on my transformation. It was nice to take a break from sports journalism and learn about a topic that I was completely unfamiliar with beforehand. 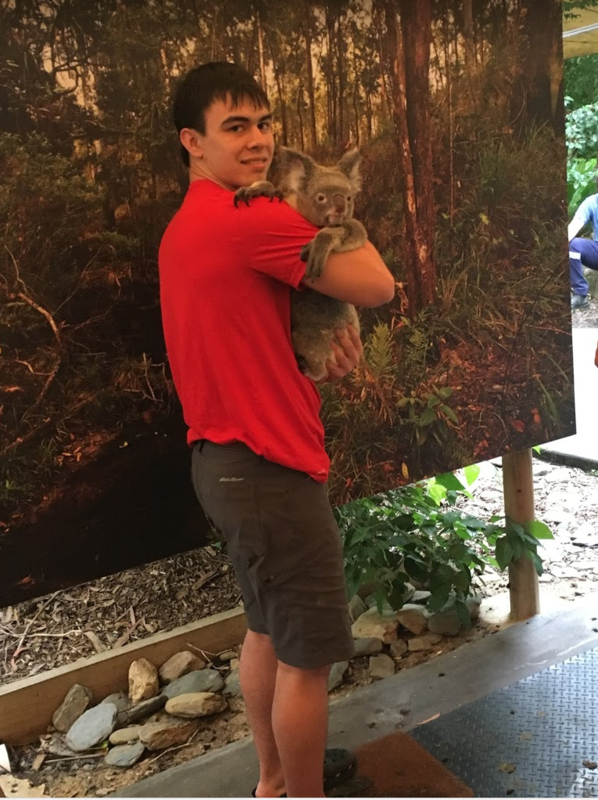 The class allowed me to take in a side of Australia few know about as well as the challenges Australian wildlife face during this influential climate change period. I was able to work with professors, environmentalists, and government workers to see how they handled life outside of school. The one commonality I witnessed was passion. Everyone I met loved their job and could talk about it for hours along with the impact they are making to better Australia’s environment. This inspired me to reevaluate my attitude post-college to be certain I am able to speak with the same amount of passion as those that were involved with teaching me about the Australian environmental impact. To me, this new view towards internships and towards my life after college is important simply because getting a glimpse of the real world is such a beneficial perk. Knowing I would like or dislike certain career paths allows me to have some confirmation of what I want to do that will make me happy. It gives me an advantage since I won’t have to waste my time with careers I might think are fun during school, but in the working world might actually be the opposite. 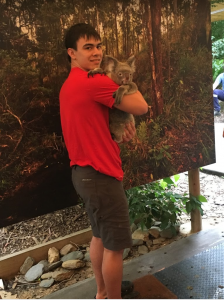 I also valued everyone I met during my time in Australia. I ran into all types of people and that furthered my understanding of how the world works outside of school and outside of my own social sphere. I can use all of my experiences and newfound life lessons towards bettering myself in academics and with future employment opportunities. I can steer my academics to replicate what I want my career path to be and I can use this maybe once in a lifetime opportunity to share with others.